By improving a credit score to buy a house, borrowers are more likely to get approved for a mortgage. A better credit score can also reduce the loan’s interest rate, which can lead to considerable financial savings. It takes time, however. The sooner a buyer prepares their credit score for mortgage applications, the simpler and more effective the process will be. Before improving a credit score to buy a house, it’s essential to know what’s in it and what it is. To do this, start by contacting a credit bureau such as Experian, TransUnion, or Equifax for a copy of the credit report. This document will include the credit or FICO (Fair Isaac Corporation) score, but also how it was calculated. We can put you in touch with lenders who will take the initiative to help out with this as well, with no obligation or financial commitment on your part. Credit scores range from 300 to 850 and are calculated using five different factors. 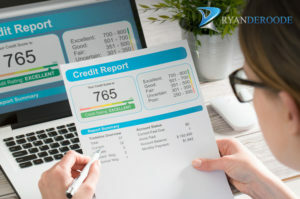 The minimum required number varies by lender and by mortgage type, but generally, potential buyers will need at least a 500 credit score for mortgage lenders to consider an application. And buyers will find that lenders start rejecting applications at scores of about 620-660. FHA home loans will require a score of 580, and conventional loans generally have a minimum requirement of 600. Regardless of what a score is, however, it can almost always be improved. What Goes into a FICO Score? New credit determines 10 percent of a FICO credit score. This includes the number of credit checks on record and the number of new accounts opened. The more of these included in a credit report, the lower the score will be. Credit scores also include the types of credit in the report. Lenders like to see various types of credit such as mortgages, personal loans, and credit cards, rather than multiple credits of the same type. Having twenty credit cards, for example, could indicate that someone has a spending problem, and doesn’t manage financial matters well. The types of credit in the report account for 10 percent of the final score. The length of someone’s credit history makes up another 15 percent of the number. A long history means the lender has more proof of an applicant’s risk level. Therefore, lenders will give a better score to someone with a higher average age of accounts. Thirty percent of a FICO score is derived from the amount of debt owed and the credit utilization ratio. The higher this ratio is, the lower the credit score will be. So, if someone has a $5,000 credit card limit, and they have a $2,500 balance, they will have a credit utilization ratio of 50 percent. Ideally, borrowers should aim to keep this ratio at 15 percent or less. The last 35 percent of a FICO credit score comes from an individual’s payment history. Items listed here such as late payments, failure to pay, and notes made by creditors harm the final score. Lenders want to see that all debts are paid in a timely fashion. While borrowers need a high credit score to buy a house, mortgage lenders will examine other aspects of a financial profile as well. They will also consider an applicant’s employment history, debt load, income, assets, mortgage size requested, and the down payment size. In general, lenders are looking for stability, consistency, and responsibility. That’s why borrowers should examine and improve their credit scores as early as possible and do what they can to maintain it.